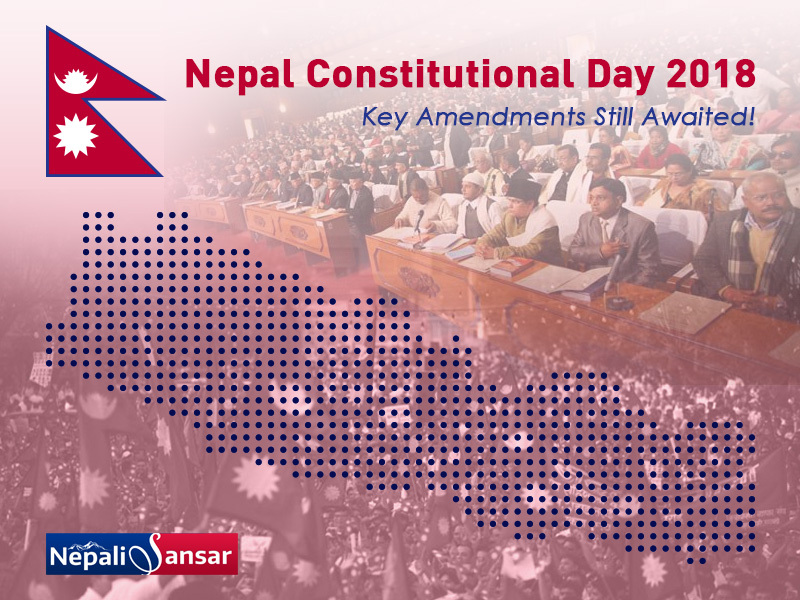 Home > News > Nepal Constitutional Day 2018 Highlights: Key Amendments Still Awaited! 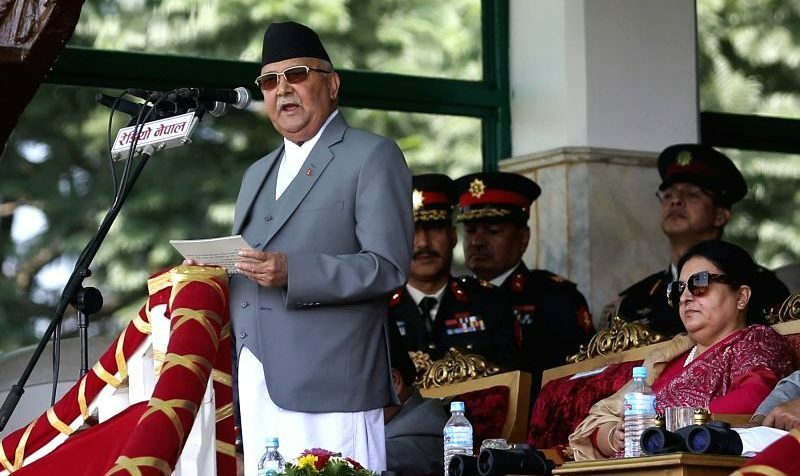 The new Nepal Constitution, promulgated after six decades of intense political struggle, completed two years of its successful journey and has finally stepped up to celebrate its third anniversary on September 19, 2018. Marking the third anniversary of Nepal Constitution, the Government of Nepal planned celebrations on a grand scale across the country. Special march by Police and Army, cultural procession representing the country’s diverse cultures and communities, a special function at the Nepal Army Pavilion at Tundikhel and an aerial display of a banner featuring ‘Constitution Day-2075’ stand among the key highlights of the 3rd Constitution Day celebrations in Nepal. Meanwhile, in the latest update, the President Bidya Devi Bhandari has authenticated all the 16 fundamental rights bills on September 18, 2018. All these bills are effective as laws from September 19, 2018, informed Bhesh Raj Adhikary, Chief Personal Secretary to the President. 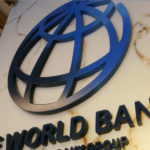 Approval of these bills is the result of the constitutional provision that mandates passing of all bills within three years since the promulgation date. According to House of Representatives Speaker Krishna Bahadur Mahara, seven other fundamental rights bills are under discussions in the Lower House, while three are at the National Assembly. 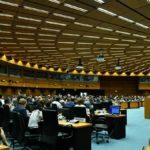 Mahara informed that the discussion of bills would continue in the next Parliament session, if the Parliament fails to conclude them in the current session. On the other hand, two other laws to govern national-priority projects and those mega development projects are under formulation at the PMO. 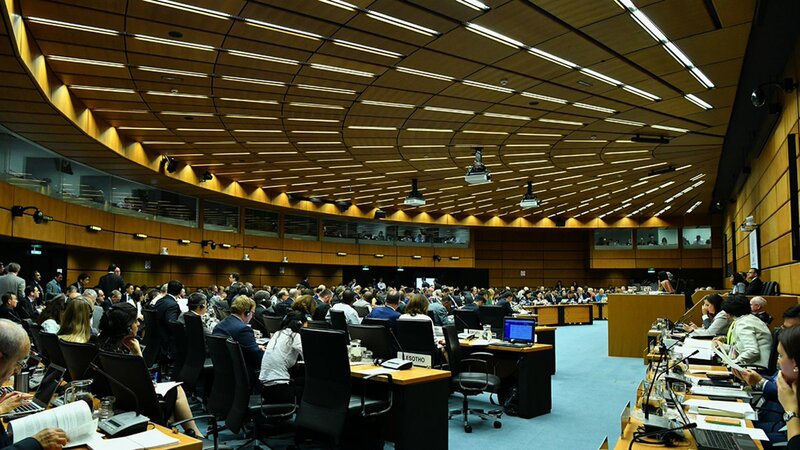 While the first of the two is formulated in line with budgetary provision, the second law is coming back into the picture after a long gap of three years. 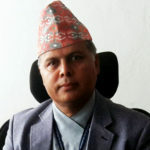 Some of the issues affecting timely execution of projects such as the lack of stability of project chiefs, timely support from various government agencies and obstruction by various elements will be addressed once the proposed law comes into effect, says PMO Secretary Kedar Bahadur Adhikari. The National Planning Commission (NPC) has two laws in its bag including a periodic National Evaluation Action Plan (2016-2020) and Monitoring and Evaluation Guidelines. List not exhaustive! 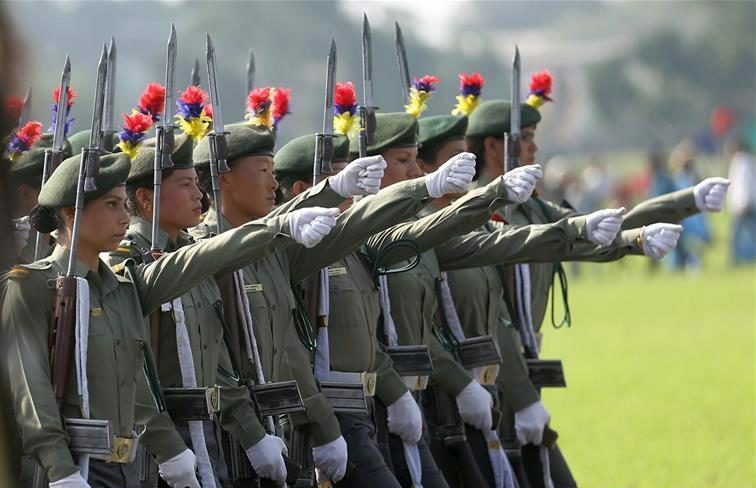 There are many such new initiatives that make this Constitutional Day special for Nepal. “The law will also guide all development projects—implemented either by the federal, provincial or local governments,” says NPC Secretary Laxman Aryal. Even three years after the promulgation of the new Constitution, political parties of the country are still struggling on making necessary amendments to provisions that are undergoing among ethnic groups. Statute amendment is one among the key amendments demanded by the Madhes-based parties, who have been fighting for provincial representation in the National Assembly based on population, due recognition to all ethnic languages, demarcation of federal units and citizenship rights. “How can Madhes celebrate when this constitution has the blood of the Madhesi people?” says Dipendra Jha, a Madhes rights activist, speaking on side-lines of the 3rd Constitution Day. Besides, many indigenous groups and women rights groups also have some constitutional amendments to be fulfilled by the government. Addressing all the concerns, Oli Government has already made promises of making necessary constitutional amendments needed for the welfare of Nepali society. But, a concrete plan towards that is still a question among many! 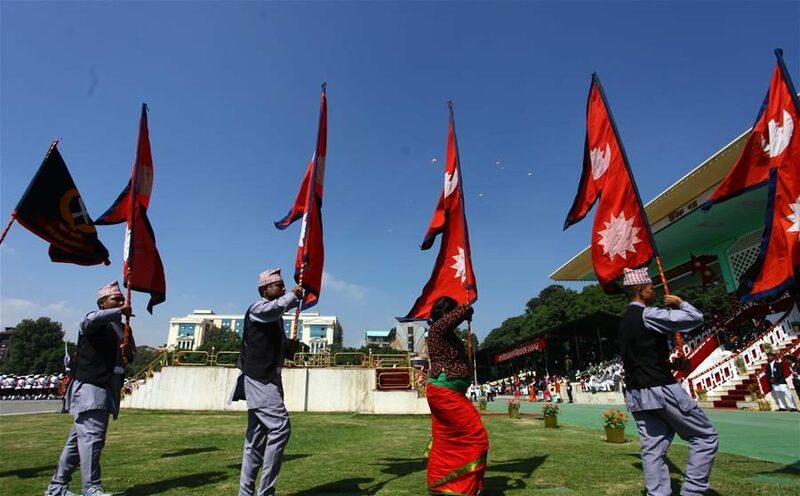 On the occasion of the 3rd Constitution Day, Nepal Government announced rare honors and rare prestigious awards to around 518 personalities belonging to different sections of Nepali society.